PLEASE SCROLL DOWN FOR 360 VIRTUAL TOUR BOTTOM OF PAGE. The Villa was completely painted in May 2014 and new carpeting was added throughout the entire unit. Many other upgraded features were added as well. This villa offers plenty of room for 4 guests, with its loft/King bed and full Bathroom, down stairs living room with Murphy bed also a full kitchen, a full bath, and the living room with a fireplace. Amenities include two flat screens HD TVs Please, No Smoking and No Pets. The Norwich Inn and Spa is just a few steps from the front door. It's an historic, full-service, New England, country inn with superb meals, including award-winning spa food, as well as a warm, attentive, caring staff who are devoted to your pleasure. The Norwich Inn and Spa offers a perfect balance of fitness, nutrition, beauty, and body treatments for restored energy and a fresh outlook on life. You'll never know how good you can feel until you have been indulged at the Norwich Inn and Spa. Mohegan Sun Resort Casino is located just five minutes from us, and is one of the most beautiful casinos in the world. Created by the Mohegan Tribe of Indians of Connecticut in 1996, the Mohegan Sun is truly a work of art. The luxurious architecture and decor feature exquisite Mohegan tribal colors and motifs. Mohegan Sun offers nightly entertainment and fine dining, as well as slots, blackjack, roulette, baccarat, high stakes bingo, keno, race book, and poker. Fox Wood Resort is located fifteen minutes from us. Mystic Ct is thirty minutes from us. Free use of the fitness rooms in the clubhouses only! I stayed here with some friends where we made a spa weekend for ourselves. The convenience of the condo to the spa and the casino is unmatched. The amenities in the unit are in great condition and the owner was super accessible when we had questions. I will definitely be staying here again! Looking forward to you and your friends staying again. The villa was fantastic....I've stayed at other layouts at Norwich, however we loved the loft and the extra bathroom. Met the lovely lady that attends to the villa for Clay....a sweetheart!! Absolutely charming and in the summer you're next to one of the outdoor pools- can't wait!! Thanks Sharon and Jerry for your great review. So glad you had a wonderful time and hope to see you both again soon! Clay was a great host. I would highly recommend! Amazing stay at Norwich Inn & Spa!! I want to thank Clay for the opportunity to stay at his beautiful condo at Norwich Inn & Spa. 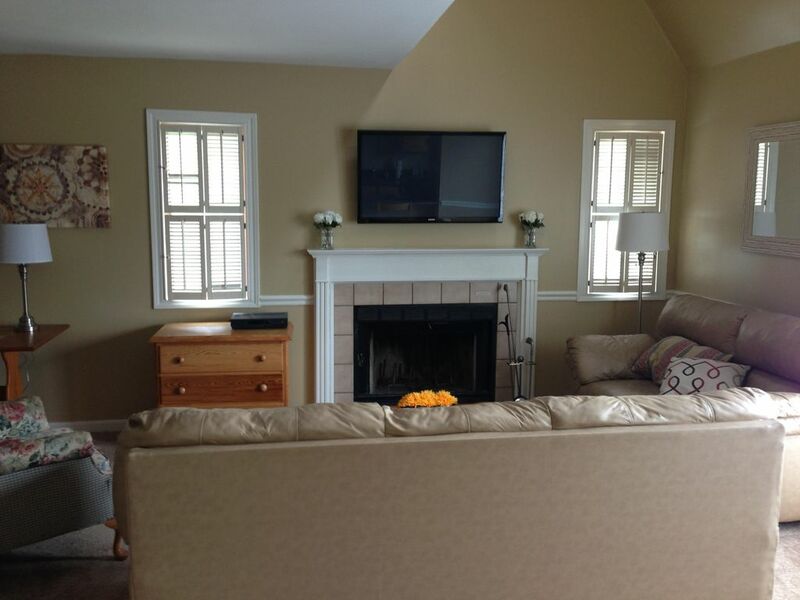 It was everything we were looking for, clean, comfortable, quiet, you simply cannot find a nicer condo at Norwich Spa! Thank You!! Second time staying here! Can't wait to come back next year. Clay is very accommodating, and a pleasure to rent from. Condo is beautiful, well equipped, and in a great location close to everything. Easy hassle-free access, very quiet area. Looking forward to next year when we will be staying there again.